These aren’t just vegetarian recipes, these are the best meatless meals that can keep you full. 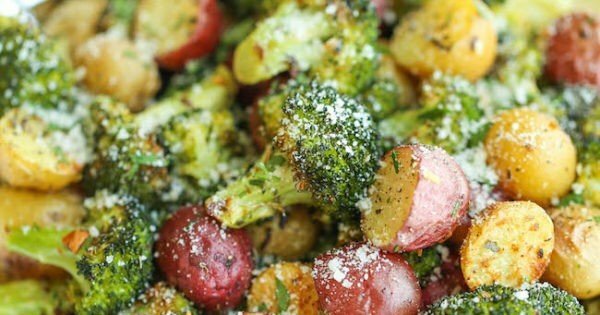 Get ready to make them every weeknight! Who says you can’t make a hearty comforting meal without meat? You absolutely can! And you can keep doing it every weeknight. 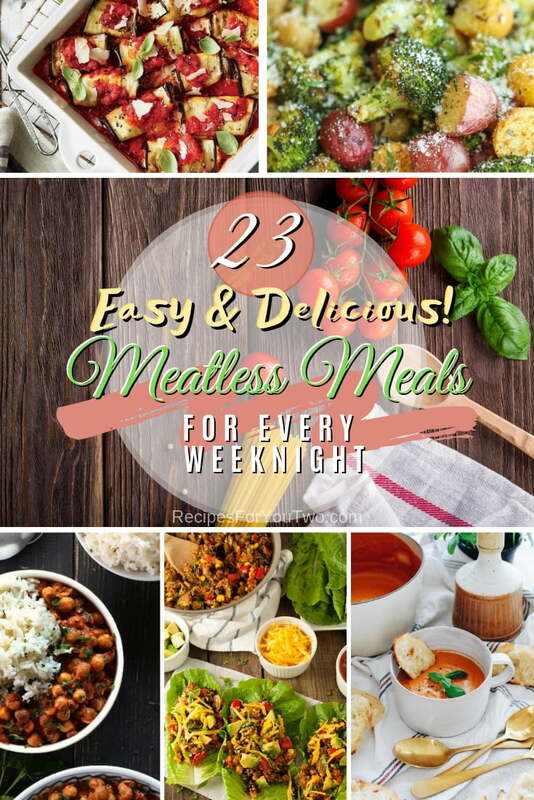 We have set out to get you a bunch of delicious meatless meal recipes that you can make for dinner even (especially!) if you’re having a busy day. Check out these crazy delicious dinner recipes that will keep you full every weeknight. Enjoy! 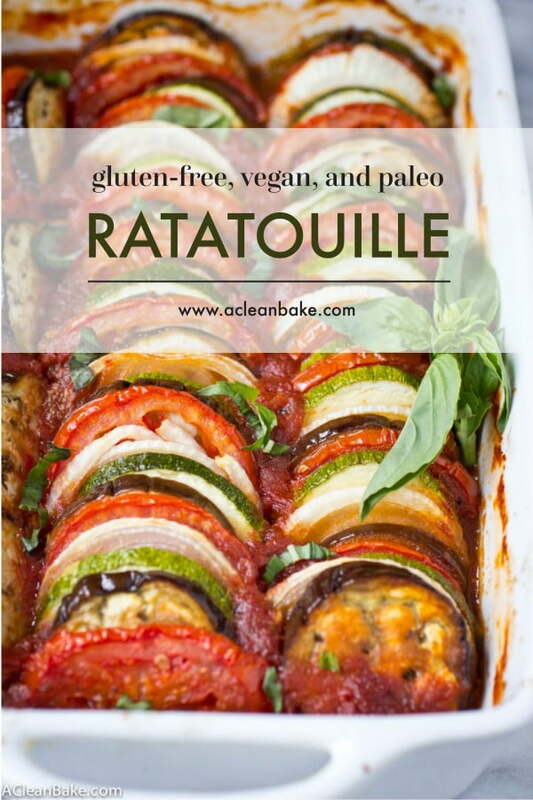 Ratatouille is an easy dinner or side dish that is so healthy and delicious. It’s naturally gluten-free, vegan, paleo, low carb, and Whole30 compliant. 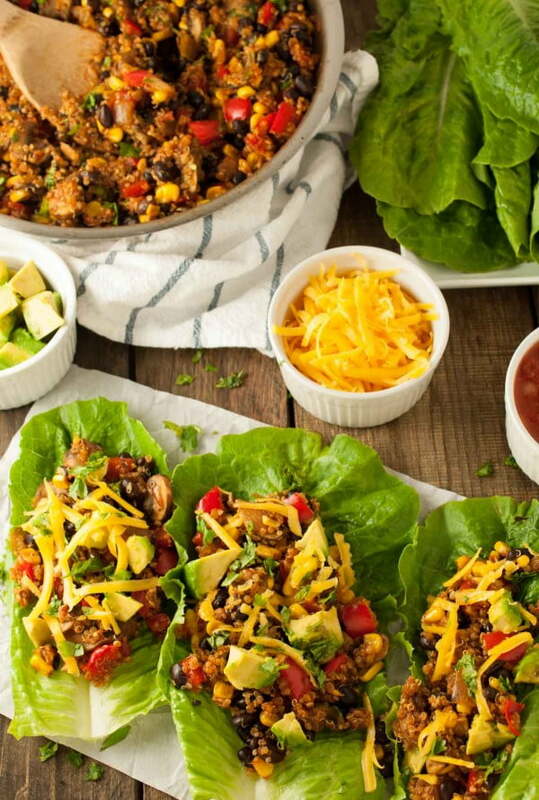 Taco vegetarian lettuce wraps with quinoa, and black beans put a tasty spin on tacos that will keep you full with 16 grams of protein per serving. The easiest, flavor-packed side dish ever. Wrap everything in foil, toss in your seasonings, and you’re set. Follow this link for the complete cooking instructions. 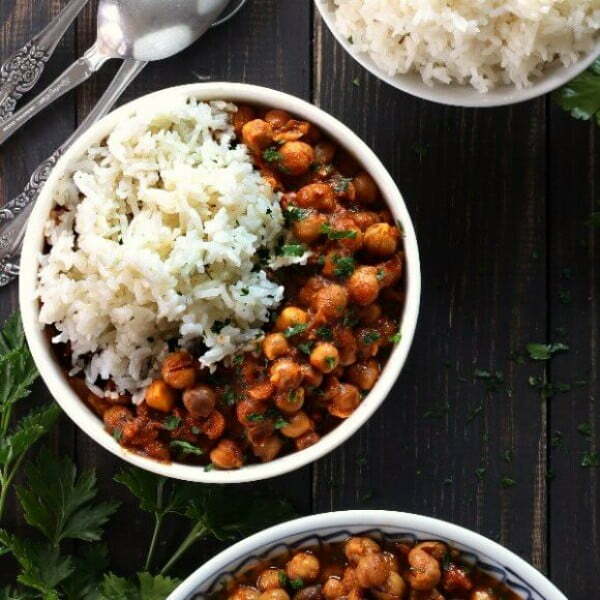 Slow cooker chickpea curry recipe is made from scratch with minimal effort. 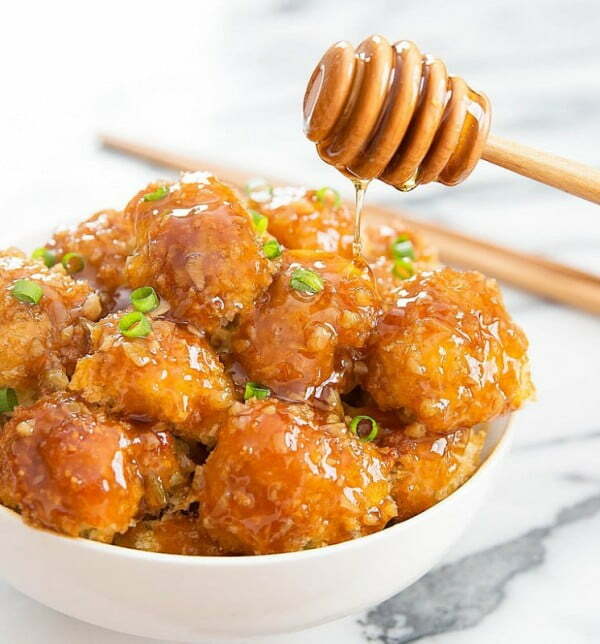 The thick sauce goes great with rice, and it also freezes perfectly. 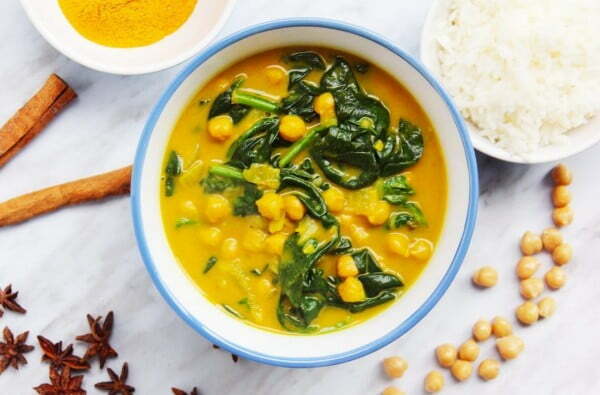 This smooth, one pot chickpea & spinach curry is packed full of flavor for a great, no-fuss weeknight dinner. See this article for the recipe. 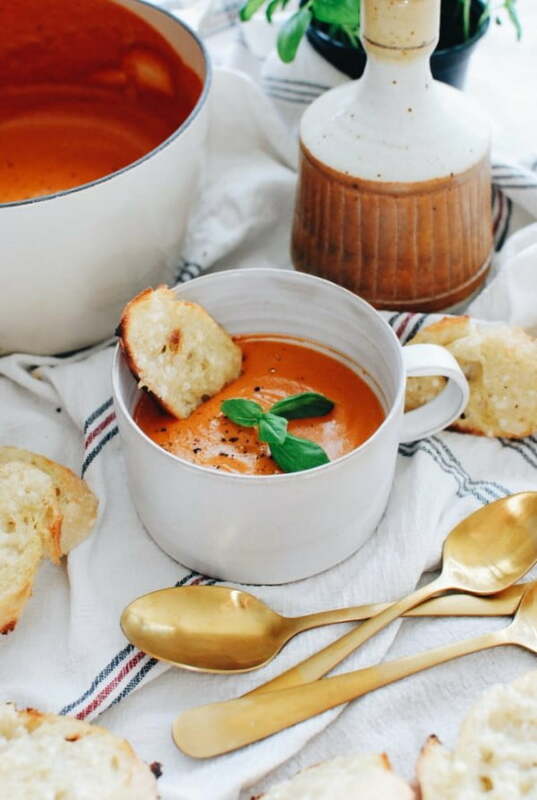 What a terrific creamy roasted tomato soup. Follow the link for the complete cooking instructions. 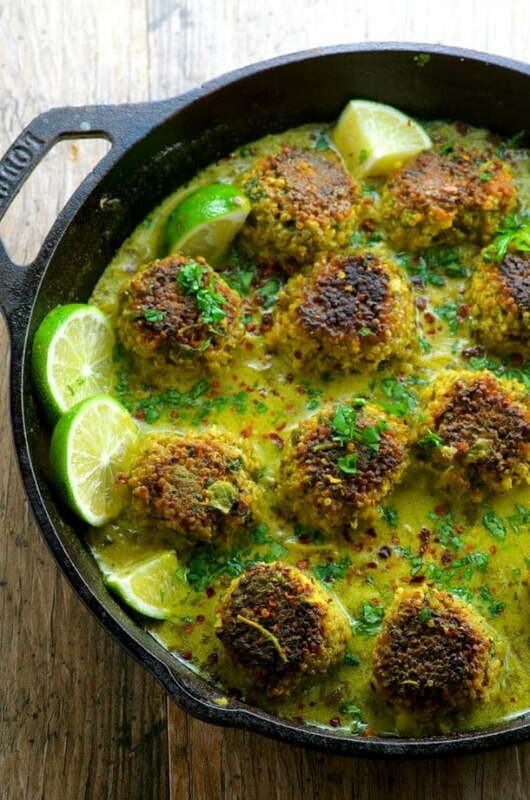 A delicious vegetarian dinner idea and a great way to try some new spices. Follow this link for the complete cooking instructions. 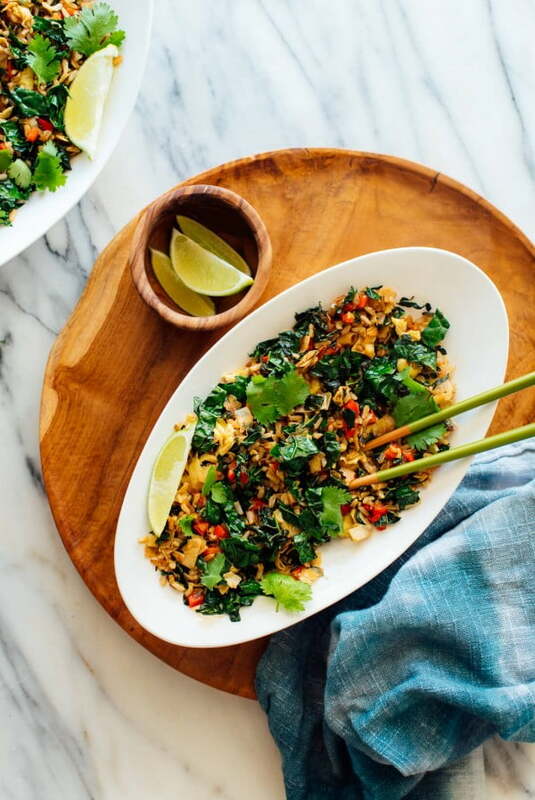 Vegetarian weeknight fried rice with sautéed kale, coconut flakes, and rice. The dish is finished with Thai flavors like lime, cilantro, and sriracha. 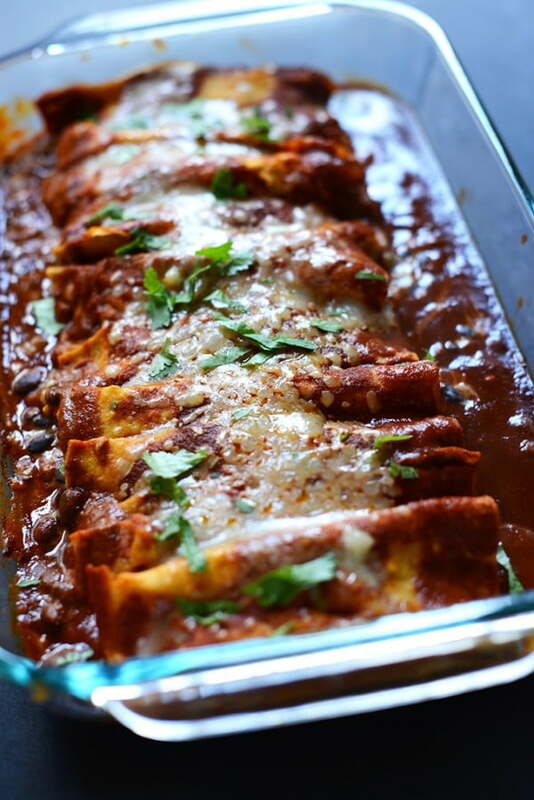 7-ingredient enchiladas with black beans, green chili, and manchego cheese. Spicy, simple, satisfying. 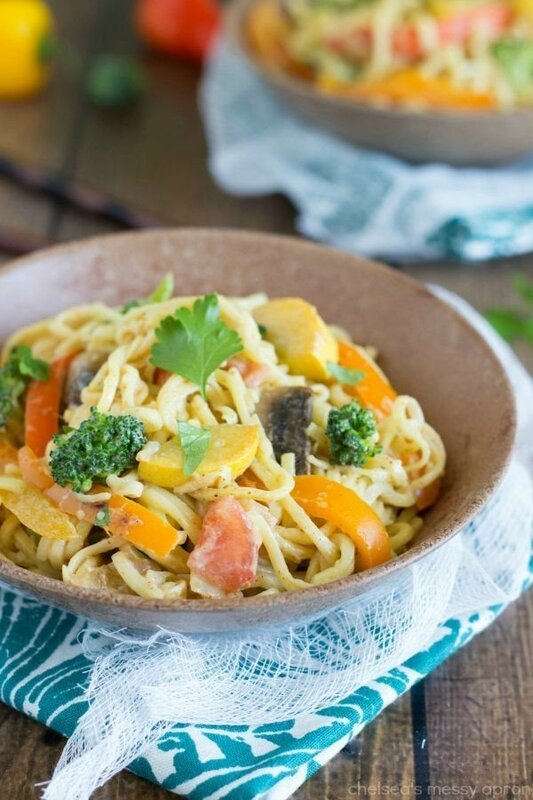 A vegetarian cajun dish made in chow mein noodles and with a lightened-up creamy sauce. This dish can be ready in under 30 minutes, and you can add a protein of choice if desired. 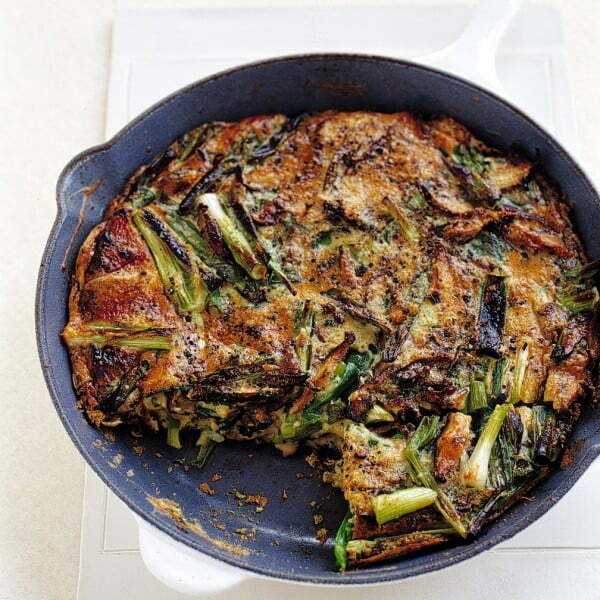 At first bite, you’ll love the sweet caramelized onions in combination with the savory flavors from the Swiss chard, eggs, and cheese. Follow the link for the complete instructions. 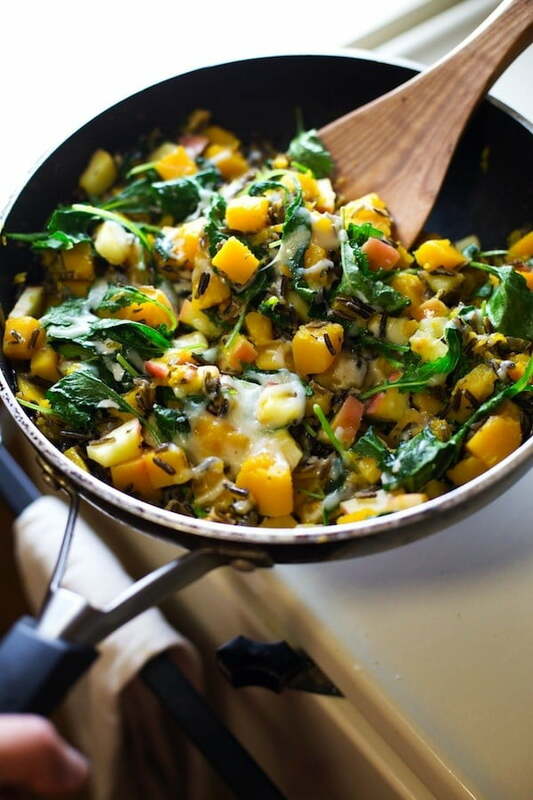 Apples, squash, sauteed onions, wild rice, and baby kale come together with melted cheese for a yummy Wild Rice Skillet. Follow this article for the recipe. 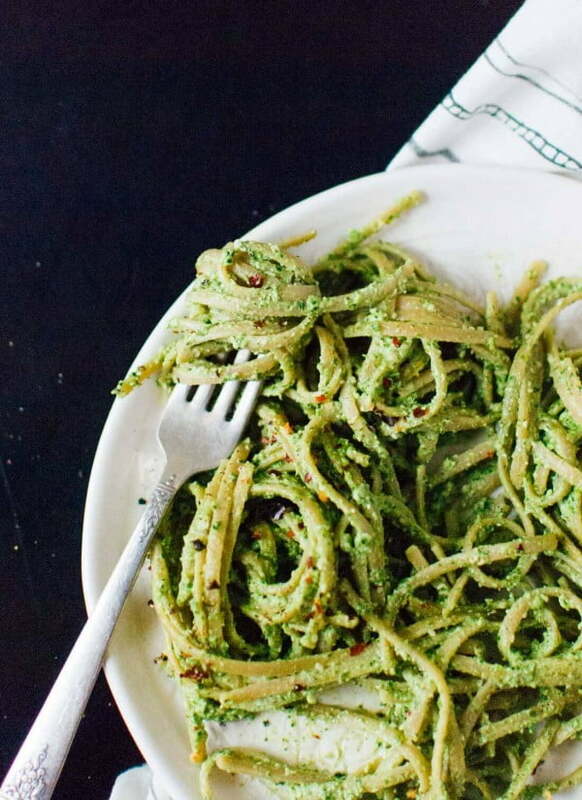 This delicious, healthy kale pesto recipe can be served on pasta, sandwiches, etc. This pesto is ready in under 10 minutes. It’s vegan and rich in Omega-3s. 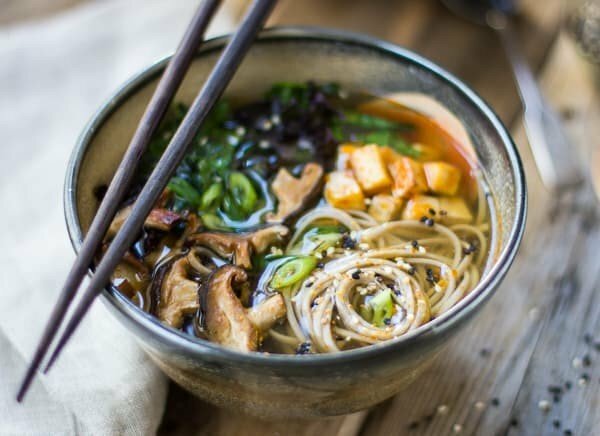 What a delicious recipe for miso and soba noodle soup with roasted sriracha tofu and shiitake mushrooms. See the article for the complete cooking instructions. A simple and hearty roasted vegetable salad tossed in a garlic dressing and topped with toasted pepitas. 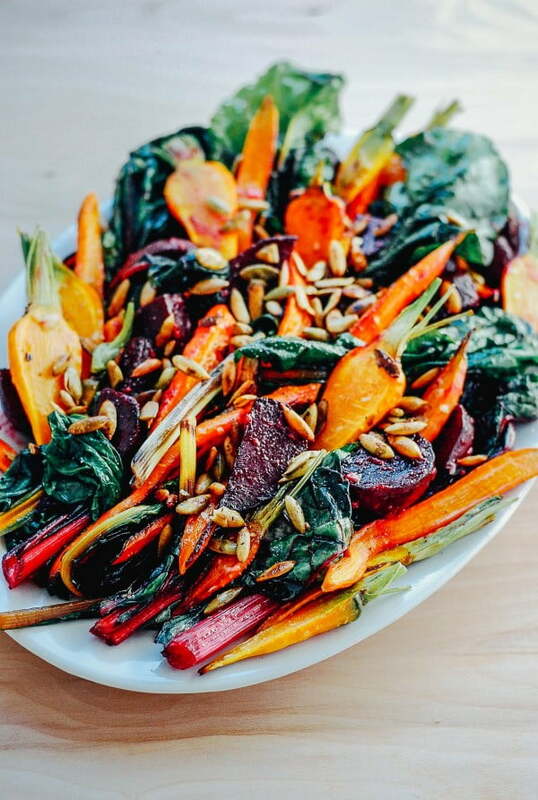 A roasted vegetable salad for fall or all seasons. 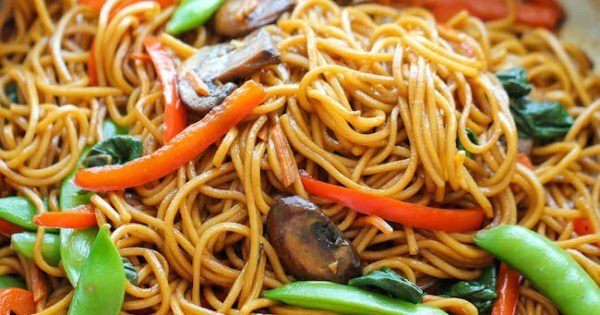 The easiest lo mein you will ever make in 15 minutes from start to finish. It is so much quicker, tastier and healthier than take-out. Follow the article for the complete ingredients and instructions. Try this for a lower-carb alternative to lasagna. 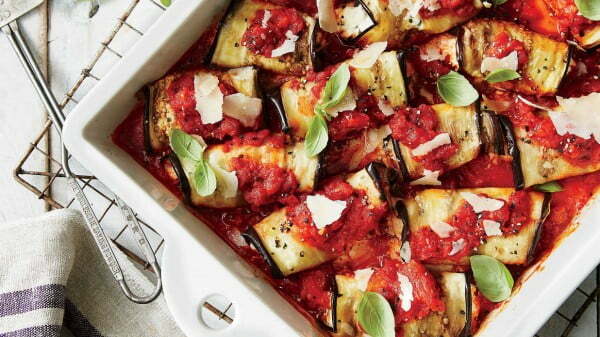 This is a fantastic eggplant roll-ups recipe. See the article for the ingredients and instructions. This meatless dinner is just decadent enough, thanks to a little bit of cheese. See this link for the cooking instructions. 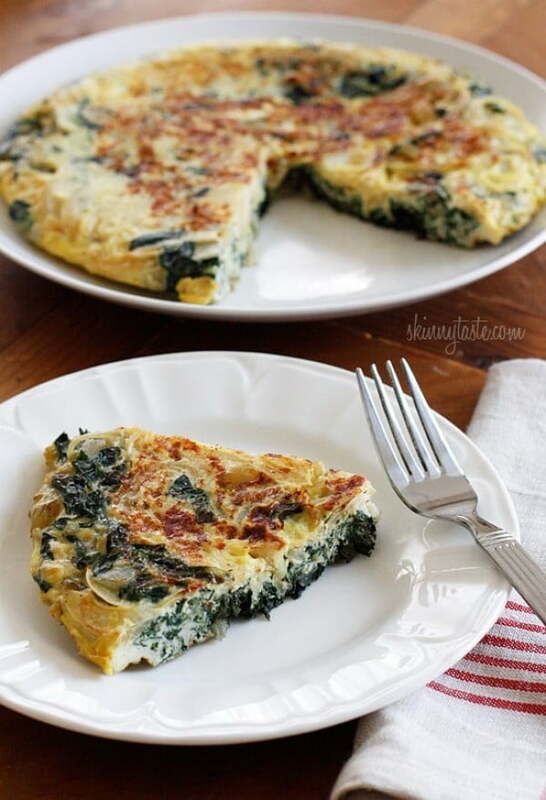 Although it makes a delightful breakfast, the frittata could also be served with a green salad for a lunch or light dinner. Follow the link for the method. Wonderfully light, healthy and nutritious. 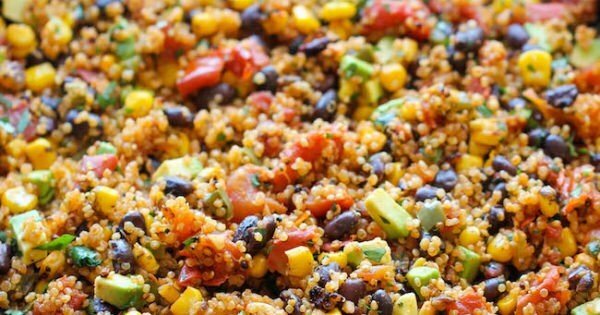 And it’s so easy to make – even the quinoa is cooked right in the pan. See the article for the ingredients and instructions. 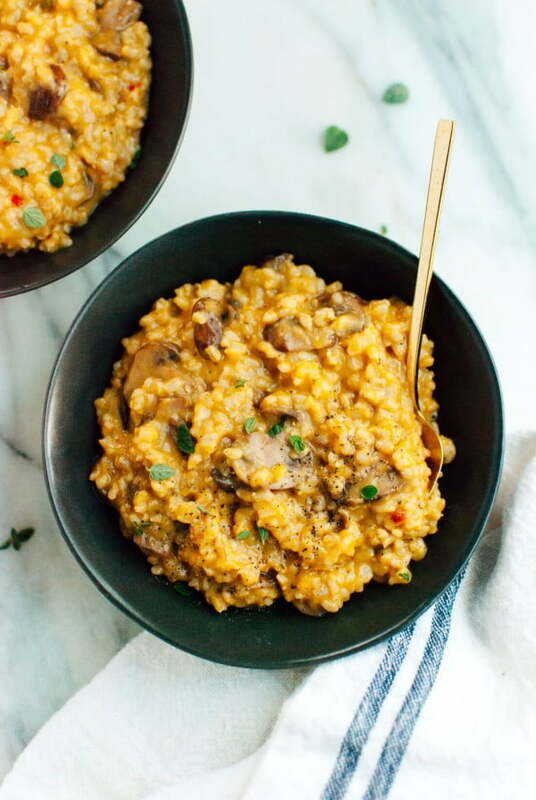 Creamy baked brown rice risotto with minimal stirring required. 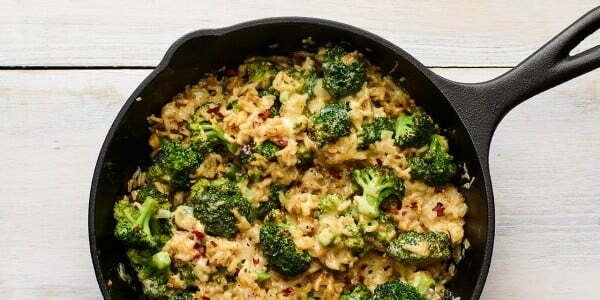 Brown rice risotto is healthier and so delicious. Feel free to change up the flavors. 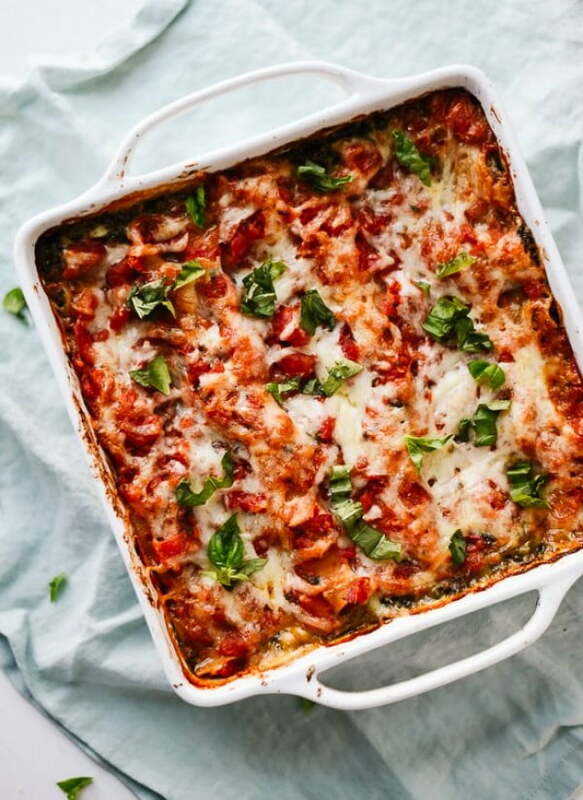 This healthy vegetarian spinach lasagna includes lots of fresh spinach, jarred artichokes and the simplest homemade tomato sauce. Shortcuts are included.